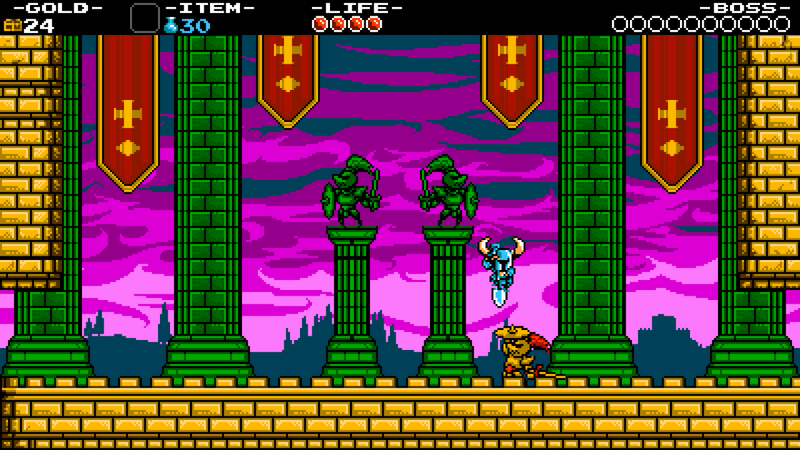 Shovel Knight is a retro styled 2D platformer with 8-bit graphics and a chiptune soundtrack. Those kinds of games are released by the assload these days, so if that's definitely, violently not your thing, Shovel Knight is probably not for you. And if it is your thing, you've probably already played it. So who is this review even for? 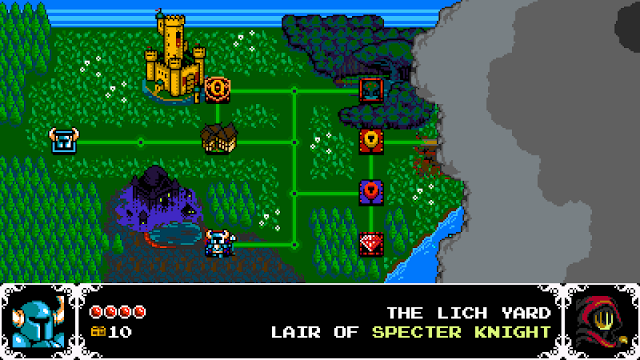 Anyway, Shovel Knight is inspired by classic NES platformer and action games, particularly Mega Man. Well that's not really fair. To say Shovel Knight is only inspired by Mega Man is like saying Mulholland Drive is "a bit hard to follow". 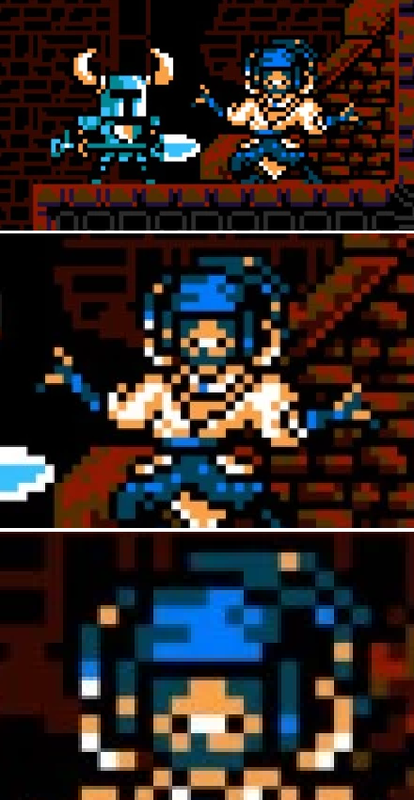 Shovel Knight is steeped in Mega Man's scent. It rolls around in his essence. It wears his skin and does a flirty little dance. The story is, Shovel Knight and Shield Knight are roamin' the land, adventuring and loving each other. Then Shield Knight gets locked inside a tower and Shovel Knight is bummed about that. Then some evil chick takes over the land and enters the tower. With the tower now open, Shovel Knight is determined to rescue her. These Knights, the Order of No Quarter, working for the evil Enchantress, are the bosses of the game. The game is a sidescrolling action game, and like the games it's inspired by, it's hard. 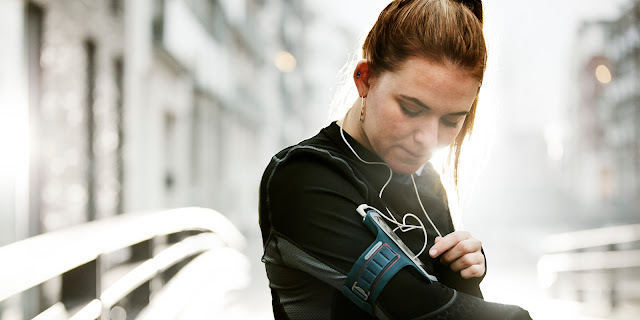 You start out with very little life and enemies can do some damage. The game feels good though, the movement feels spot on and you always feel in control of Lil' Shove. Every boss stage has a hidden item to find, called relics, that give you an extra ability such as shooting fire or becoming invincible for a short time. These can really come in handy, and luckily if you can't find them in the actual stage the merchant in town is happy to sell it to you for a bit of your precious treasure. There is an overworld between stages, similar to something like Super Mario Bros. 3 or The Misadventures of Flink where you move your character around to the main stages and towns but also random encounters with strangers, puzzle-y little stages, and challenge stages which require you to use a single relic in interesting ways to overcome. The haunted castle filled with reanimated corpses: Not often featured in the tourism brochures. The graphics in the game are really well done. The pixel work is appropriately retro while also being more colorful and detailed than what could be achieved on something like the NES. And they wisely let the characters and environments speak for themselves without kitschy graphical effects like sprite flicker and scanlines to sell the old school look. This guy's about to get Scrooge McFuck'd up. 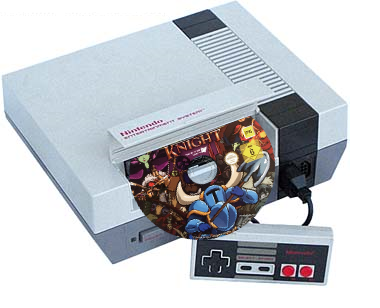 Retro games are also known for their simple but catchy soundtracks. Shovel Knight is no slouch here, either. Each stage has a memorable theme that manages to not grate on you when you're hearing it for the 80'th time after dying. Hidden in all the stages are music sheets that, when given to the bard in town, allow you to hear all the music whenever you want! 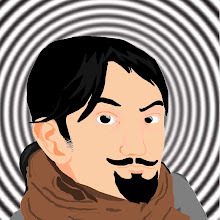 "OK so I'll just boot up the game......,Developer logos....Alright, main menu.....Load game...Confirm....Loading............Ok, I'm in game....I'll just go to the town here.....Here's the bard...Yes I know you'd like me to find more scrolls....Yes I'd like to listen to a song.....Ohhh track 5 is a good one.....OK I'm ready to run!" It's a decently robust package, with a separate challenge mode and New Game+. But developer Yacht Club Games refused to stop there. They just keep inexplicable throwing more game onto this game, with not one, but two entire campaigns added in after release, and a co-op mode and all sorts of other stuff. Somebody should stop them, before they release the kart racing mode and the MOBA multiplayer option. Excellent review for an excellent game. Cant wait to see what review is next!